The LX10 is the new mini tone monster. The LX10 allows you to get the legendary Laney sound at a very modest price. The LX10 features a single channel with switchable gain - giving you some gain choices from clean all the way up to extreme, a 2 band EQ plus a Shape switch, a tape/CD input for jamming along to your favourite songs and a headphone input for doing so quietly - an all important late night practice consideration, as you never know when inspiration will strike. 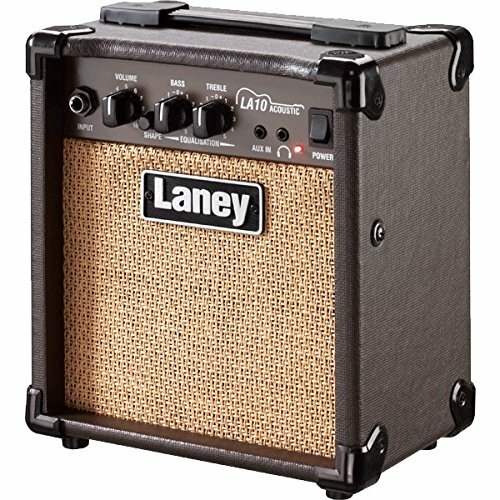 If you have any questions about this product by Laney Amps, contact us by completing and submitting the form below. If you are looking for a specif part number, please include it with your message.